#5344 English 'improved sympiesometer' by W.B. 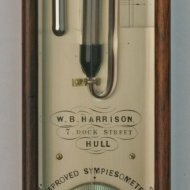 Harrison, Hull. 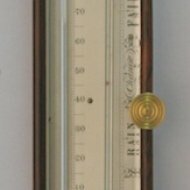 SOLD Short barometer in rosewood, silvered plates, signed: W.B. Harrison, 7 Dock Street, Hull.